This stunning Fossil Q Hybrid Smartwatch is the perfect stylish and functional wrist companion for the moden day man, always on the go. A new hybrid with a minimalist design, the Q Commuter uses smart technology to send you notifications, view a second time zone and more. With the ability to customize the three buttons, with your most used functions. 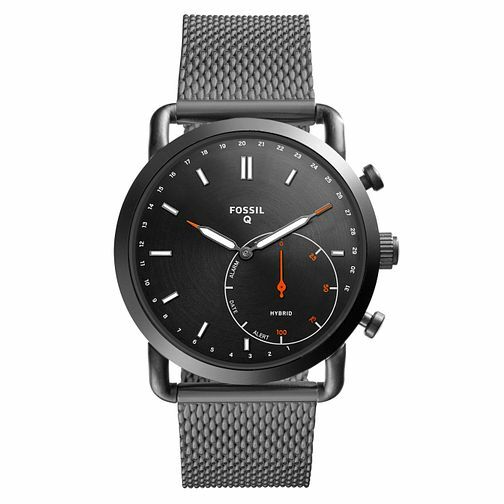 Powered by the Fossil Q App, Fossil Q Hybrid Smartwatches are compatible with Android™ OS 5.0+ and iOS 9.0+ devices.